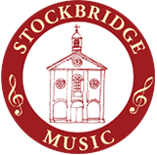 The Brook Street Band are four consummate instrumentalists who played sonatas written purely by baroque composers who lived between 1653 and 1764. They performed as one, delighting in the thematic detail, the swapping of musical phrases, the suspensions before the resolutions, made so much more intense by the use of original baroque instruments played without vibrato. The concert’s first half was devoted to three composers; that musical pioneer Corelli; Handel who without doubt was influenced by Corelli but didn’t get on with him; and Jean-Marie Leclair, a less well known composer who nevertheless wrote a great number of sonatas and founded the so-called French violin school by adapting the Italian baroque style to suit refined French taste. He also subjected his violin to dexterous gymnastics, well reflected in his composition ‘The First Recreation of Music’, which the Band played with impressive virtuosic vigour and appreciative grace as Leclair required. A superb performance. Bach came along after the interval with two sonatas. While still officially baroque, how distinctive his chamber music sounds. Adagio or largo, the playing was fluid and sensitive. Vivace or presto, fingers ran up and down the frets at breakneck speed. The detail was impeccable. And figured bass? As harpsichordist Carolyn Gibley explained after describing the workings of the instrument, the only music she had in front of her in each work was the bass line with numbers printed above every note. The baroque composers were happy for accompanists to provide their own musical decoration above the bass line, so long as they stuck to the harmonic structures indicated by the numbers. And if you understand that, you’ll understand anything. If ever there was an example of why chamber music should be heard live, this was it, especially when performed so expertly and with such evident enjoyment.